A puppy was so happy to be rescued he licked the face of the firefighter who saved him. 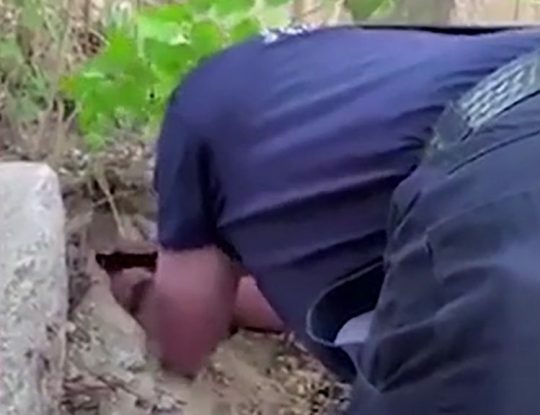 The dog had somehow become trapped under a pile of rocks, and can be heard whimpering in fear. Bikers had alerted emergency services, and carefully, the rescuer lifts rocks away so that the puppy can escape. 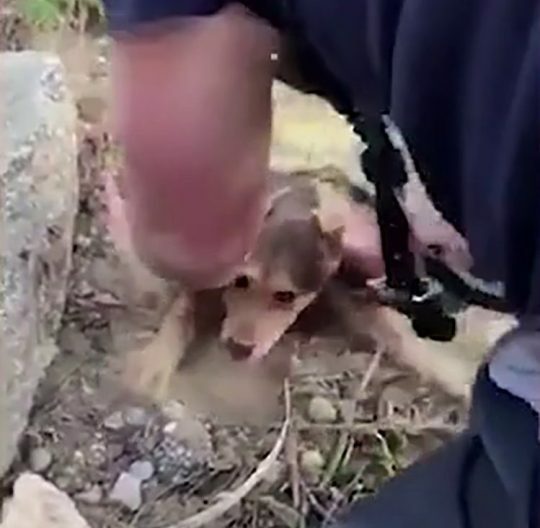 The heartwarming moment that follows shows how grateful the pup is to be free. As the dog wriggles around in his arms, it keeps on trying to reach his face to shower him with kisses in thanks. The video was released by the North Charleston Fire Department, ABC reported.